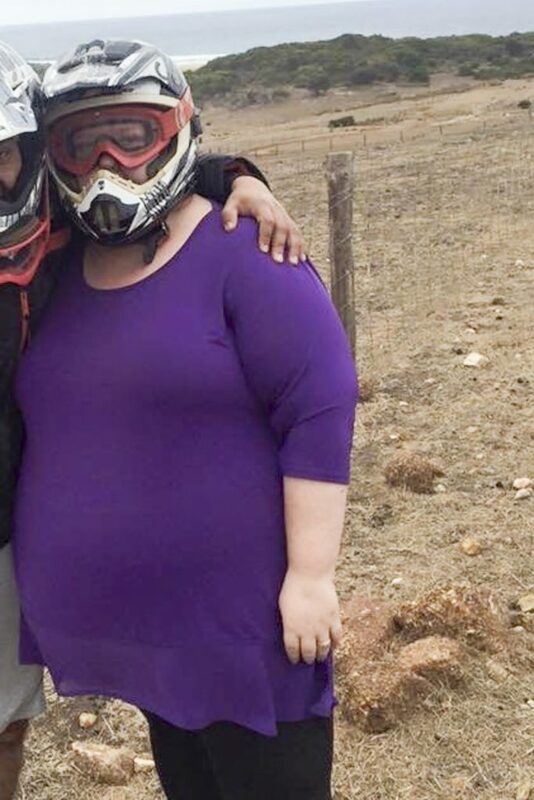 A 220kg (34st 6lbs) woman who spent more than $22,000 AUD (£13,000) a year on her 11,000 calorie-a-day food addiction and ate until she thought she would DIE has shed more than half her bodyweight in an incredible transformation. 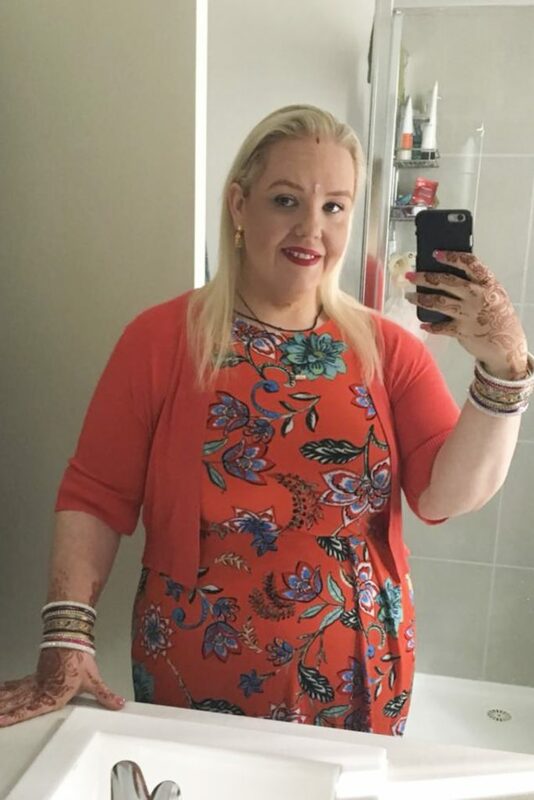 Morbidly obese Sarah Kumar, 36, would gorge on a McDonald’s family box, two large pizzas, two blocks of chocolate and four litres of soft drink daily and lived in fear her stomach would explode. The project manager, from Adelaide, Australia, but now living in Melbourne, ballooned to an enormous 220kg and a size 28 before she came across an old letter from a friend begging her to lose the weight. 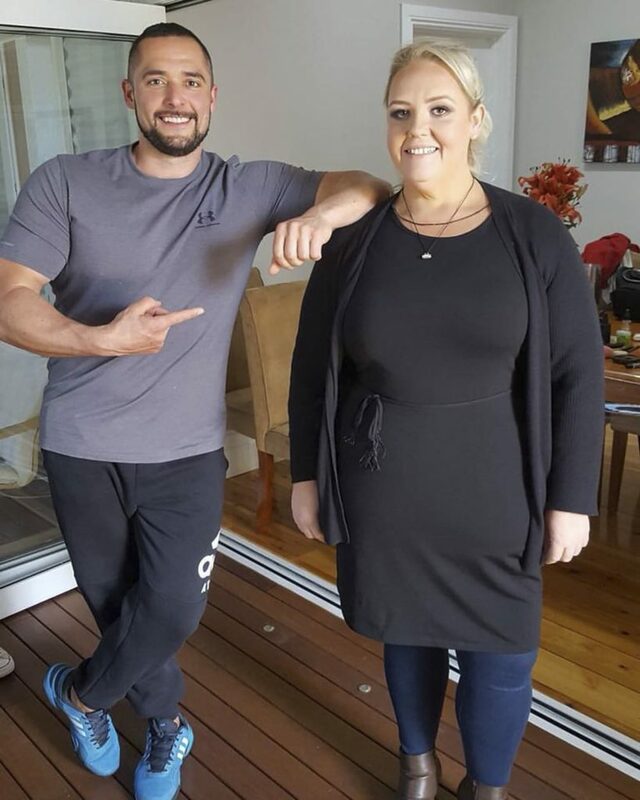 The determined 36-year-old decided to turn her life around and has since shed an amazing 111kg (17st 4lbs) and dropped six dress sizes thanks to working out six times a week, swapping junk for lean protein and vegetables and undergoing gastric sleeve surgery. Married Sarah, who now weighs 109kg (17st 1lbs) and wears a size 16, said: “I was always a bit overweight as a kid, but it wasn’t until I was about 13 that my food addiction really took hold of me. “I would eat amounts that are just not humanly possible and was always looking for ways to get more food. “As I got older, there were days where I would eat so much I thought I would die. “I would honestly lie in bed and think ‘this is it, I’m not going to wake up tomorrow’. But then I’d get up the next morning and do it all again. It was a vicious cycle. “I was a very secretive eater and would only ever binge in private. “It was an absolute addiction. I couldn’t stand feeling like there was any space left in my stomach. “As soon as I started to feel like there was room I’d have to eat and fill that void. “I’d always have the biggest meal I could order for lunch when I was with my work colleagues. “Then on the way home from work I’d always order two large burger meals from McDonalds at the very minimum. I’d often get a family box and eat it all. “Then later in the night I’d order two large pizzas, along with a garlic bread and a bottle of coke. “I’d even pretend there was someone else at home when the delivery guy came to the door, but it was always just me. “Then I’d have either two family sized blocks of chocolate or I’d eat a whole tub of ice cream for dessert. “Then I’d wash all that down with four litres of soft drink every day. I’d never drink water. After her food addiction started in her early teens, Sarah continued to pile on the pounds until she tipped the scales at 140kg (22st) at just 19 years old. But she said that was only the beginning of her destructive habits and she continued to put on weight and ‘abusing’ her body for another 10 years before she sought help. Her poor diet and total lack of exercise left every day feeling like ‘a struggle to survive’ and making even the simplest tasks – like fitting into public toilets – impossible. 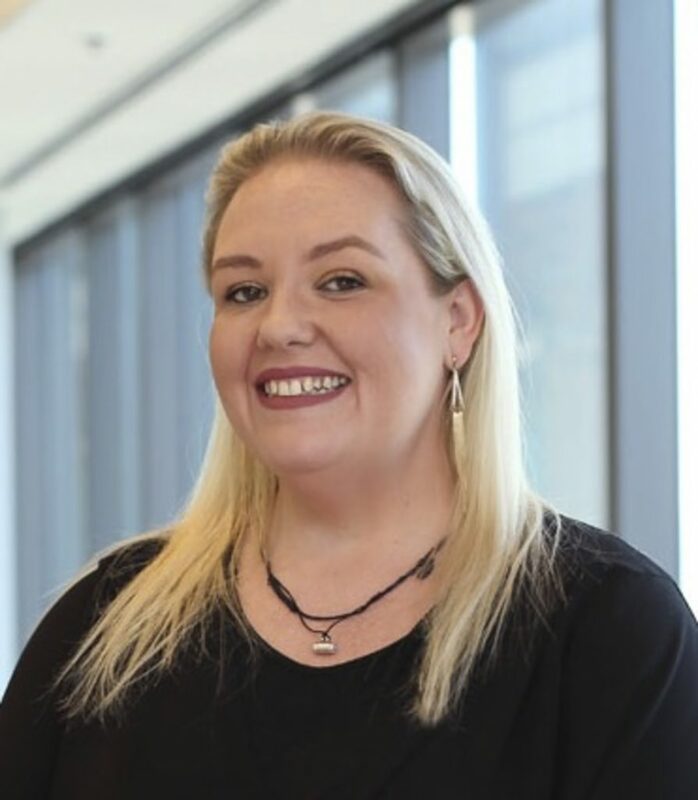 But everything turned around aged 31 when Sarah’s company offered her a once in a lifetime job opportunity to leave Adelaide behind and move to Melbourne. And while packing her belongings, she stumbled across an old letter a friend had written in 2004 pleading with her to lose weight- and the ‘wakeup call’ saw her transform her life. 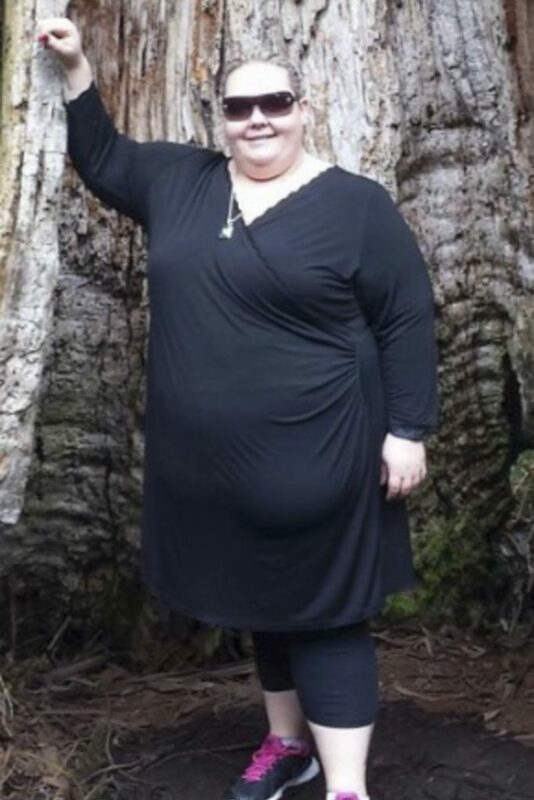 Sarah believes at her biggest she weighed 220kg, but her first official weigh in didn’t come until after four months of dieting and exercising, at which point she weighed 211kg (22st 2lbs). After losing 50kg (7st 8lbs) on her own, she decided to take the plunge and went under the knife for gastric sleeve surgery. Sarah is also now training for a fitness certificate so she can help others and has more than 1,000 Instagram fans following her ongoing weight loss journey. Sarah said: “My life was so lonely and miserable, I wouldn’t even really call it living. “People don’t realise how hard it really is for an obese person just to exist in the world. I’d always turn down different opportunities because of my size. “I couldn’t go to the carnival because I knew I wouldn’t fit on any rides. “The beach is one of my favorite places in the world, but I’d always avoid it like the plague because I would never want to wear bathers. “If I was going out to dinner, I’d always have to look up online at their seating arrangements because if it was a booth, I’d never be able to fit. “Even just public toilets. People don’t realise how hard it is for an obese person to get in and of those things. “Everything was just a nightmare and it was always easier just to stay home and eat alone. “But when I got this new job I knew it was my chance to start a new life and be the person I’ve always wanted to be. “That letter was a sign from the universe that this needed to happen now to save my life. “I started by making better food choices and trying to move more. “Then I joined a gym. On my first day, I could only walk for six minutes at an extremely slow pace before I was exhausted. But I went, and from then I just built up my strength. “I managed to lose about 50kg (7st) by myself before I plateaued. “So, I decided to have $14,000 AUD (£8,000) gastric bypass surgery by taking the money out of my superannuation [pension] on compassionate grounds. It was the best decision I ever made. “Now I’m working out six days a week and I’ve lost 111kg (17st 4lbs), with my goal weight being to get down to 89kg (14st).